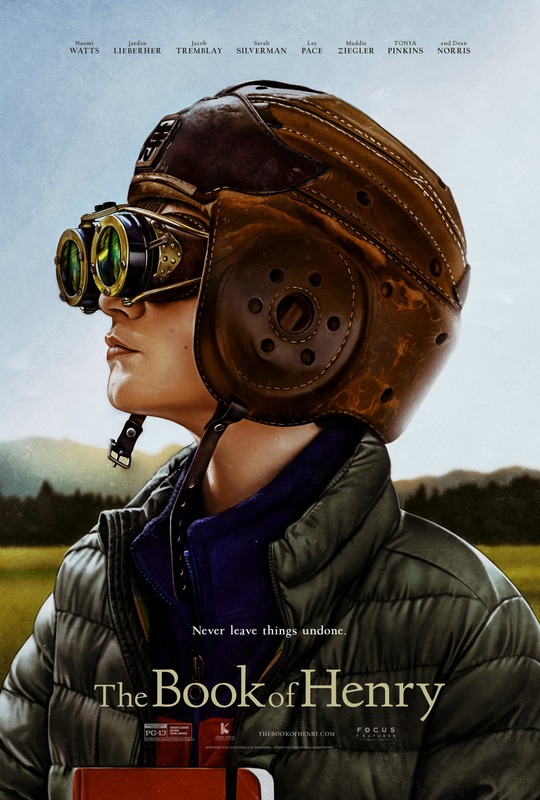 A movie that inspires audiences to stare at it with the phrase, “say what?” firmly embedded at the forefront of their minds, The Book of Henry is both shockingly bad and hugely enjoyable at the same time (though it’s not quite the kind of movie that’s “so bad it’s good”). This may seem like a contradiction, but this could easily be many people’s idea of a guilty pleasure, a movie that you know from the start is pretty awful but which you can still derive an awful lot of pleasure from. The first draft was written in 1998 by author and screenwriter Gregg Hurwitz, and you can believe that the final screenplay as used in the movie, is exactly the same draft. And on this evidence, you can perhaps understand also why director Colin Trevorrow isn’t going to be at the helm of Star Wars Episode IX. 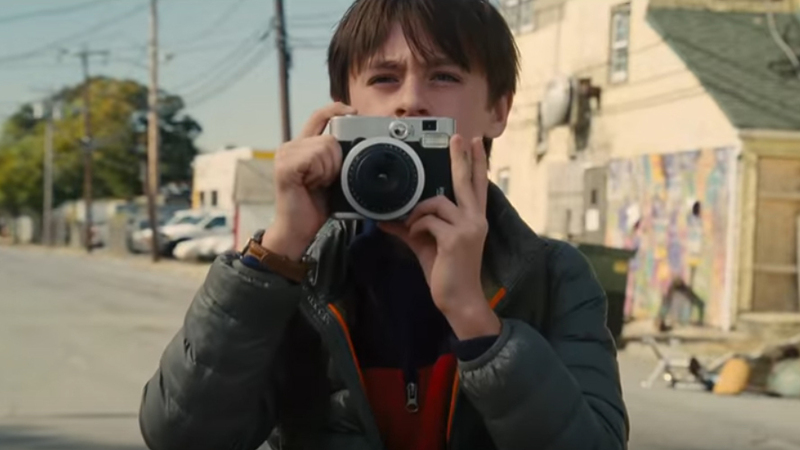 Shying away – perhaps deliberately – from creating a tonally consistent narrative, The Book of Henry sets itself up initially as a bucolic drama dealing with the ups and downs of the Carpenter family: single mother Susan (Watts), eleven year old whizzkid Henry (Lieberher), and younger son Peter (Tremblay). Susan works at a diner and dreams of writing and illustrating children’s books. Henry acts as the de facto man of the house, and is something of a financial genius, having invested very successfully in the stock market (Susan literally has no idea how wealthy they are as a family which is why she continues to work at the diner). And Peter is bullied at school, though Henry always comes to his rescue. Add their neighbour’s stepdaughter, Christina (Ziegler), into the mix as a kind of surrogate daughter/sister, and you have a family bordering on dysfunctional but in a winning, adorable way that makes you want to ruffle their hair and remark on how winning and adorable they are. So absurd and so silly is The Book of Henry, the only way to approach it is as a drama that forgot it was meant to be a comedy. If you do, and it really is the best way to approach it, then the movie can be enjoyed despite its being a terrible mess that’s only on nodding terms with credibility. There are laughs to be had – deliberate and otherwise – and a whole raft of scenes that feel like filler (see how many times Susan covers over Peter, or the leaves in her yard are mentioned), but still the movie exerts a strange fascination, like a road traffic accident that you just can’t look away from. Hurwitz’s script, combined with Trevorrow’s meandering sense of direction, leaves the movie high and dry and static in its efforts to be effective, and the only area in which it does succeed is in its use of its Hudson Valley locations, all beautifully rendered by John Schwartzman’s richly autumnal cinematography. The performances are a mixed bunch also. Watts has a good grasp of her character’s interior life, but it’s a shame that Susan’s exterior life is so bland and uninteresting. Aspects of Lieberher’s performance might prompt viewers to believe that Henry is on the spectrum, while Tremblay, the go-to child actor right now, is otherwise kept firmly in the background, good for a couple of scenes of emotional poignancy but little else. Spare a thought too for Silverman playing blowsy with a heart of gold, and Pace as the doctor who keeps popping up and may, at some distant point when the movie is over and done, prove to be Susan’s next love interest. The cast as a whole are admirably committed to the material, and it is fun watching them trying to legitimise some of the more absurdist moments in the script, but when there’s more enjoyment to be had from watching them fail than succeed then it’s time to ‘fess up and admit that things just haven’t worked out in the way that the producers would have hoped for. Rating: 4/10 – silly, funny, and endlessly entertaining in all the wrong ways, The Book of Henry has at least one unfulfilled potential: that of being a cult midnight movie where the audience interacts with it a la The Rocky Horror Picture Show (1975); such a misfire that it has to be seen to be believed, it’s a movie that doesn’t know when to rein in its ridiculous nature, but in failing to do so (and entirely against the odds), makes itself into perhaps the most unlikeliest must-see movie of 2017. It’s crazy. But I’d be lying if I didn’t say I wasn’t compelled. Nice review.